When Fred Zimmerman founded the magazine in 1999, his vision was to create a uniquely Dublin magazine through a partnership with the City where he lived and was raising a family. Even today, every CityScene Meda Group product - whether company-owned or not - is created through partnership. 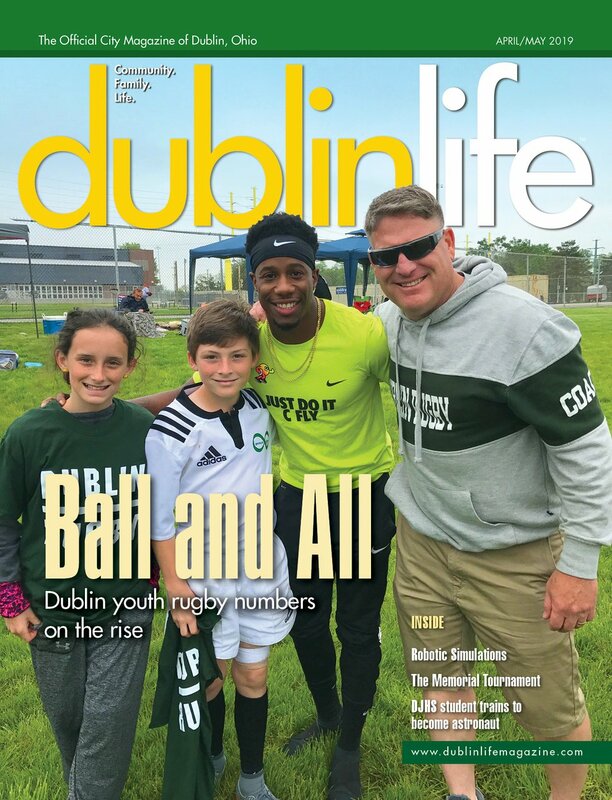 The first issue of Dublin Life Magazine was mailed in August 1999 and featured a look at the history of Dublin through the eyes of long-time resident and historian Herb Jones. While the changes to the city in 20 years are too numerous for this column, some highlights include the addition of not just homes but entire neighborhoods, a hospital campus, amazing installations of public art throughout the city and, coming later this year, a pedestrian bridge to connect Historic Dublin and Bridge Park. We have profiled more the 120 Dublin residents. From the famous faces (Yoshihiro Hidaka, Shelley Meyers, George Barrett, Margie Amorose) to the average neighbor with a great story to share, our pages have overflowed with features about the area's most interesting people. When you add student spotlights, community calendars, the Write Next Door column and homeowner remodeling projects, our writers have touched residents in every corner of the community. Events? Dublin has the best! And, you have read their previews and follow-ups on the pages of Dublin Life. From the Memorial Tournament tot he Irish Festival, the B.R.E.A.D Festival, President's Cup, Blarney Bash and Emerald Ball, Dublin Life writers and photographers were there. There are so many great writers whose work has appeared in Dublin Life, from staff writers and editor to freelancers and interns. A few standouts are members of the community: recent Editor Amand DePerro, Write Next Door Columnist Colleen D'Angelo, and Emma Mathews who completed a high school internship in our office. The magazine's purpose is to showcase the ever-evolving personality of this amazing and growing community through stories and its residents, places and events unique to the area. Our amazing team of writers, designers and yes even salespeople, are dedicated to achieving that mission. Life is all about community - thanks for helping us stay connected.